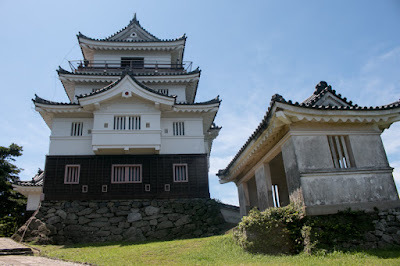 Hirado castle (平戸城) is located at Kameoka hill, one of 50 meter high from hillside facing Hirado port. Hirado port is a one built at the mouth of Kagamigawa river in the northeastern part of Hirado island. 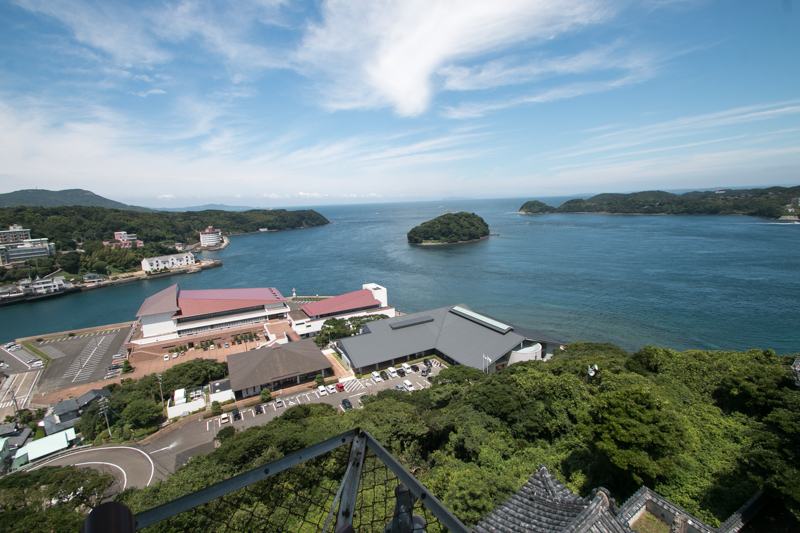 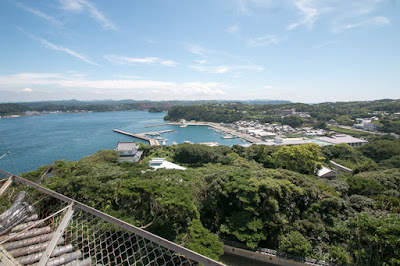 Hirado island is a large one of about 30 kilometer long and 10 kilometer wide, and only less than 1 kilometer apart from Kyushu main island. 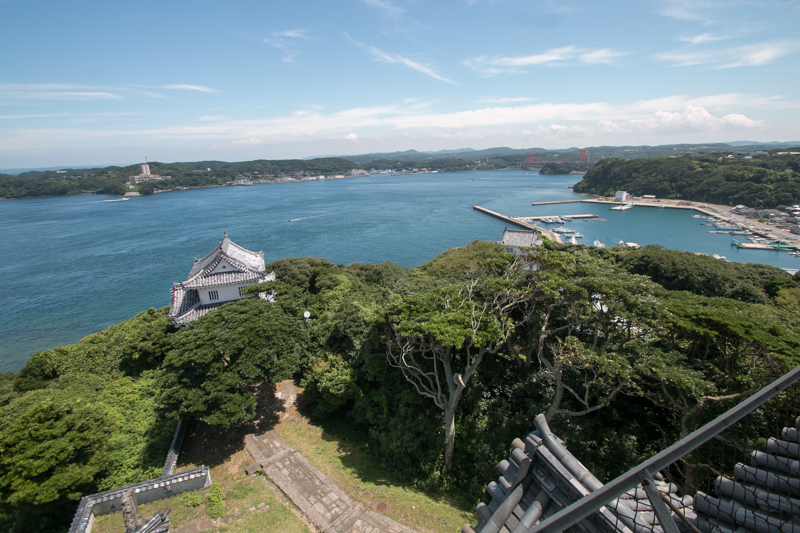 Hirado port and Hirado castle is at the next of this straight between Hirado island and Kyushu main island, named as Hiradoseto. 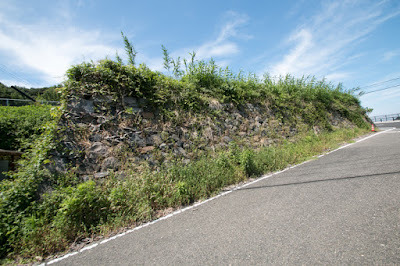 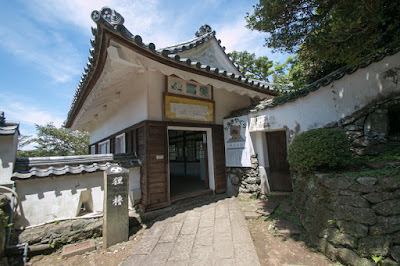 Hirado area places at the northwestern edge of Kyushu island, and is closest area to Korean peninsula or China from Japan along with Fukuoka area or Matsuura peninsula. 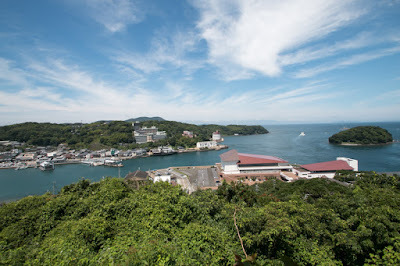 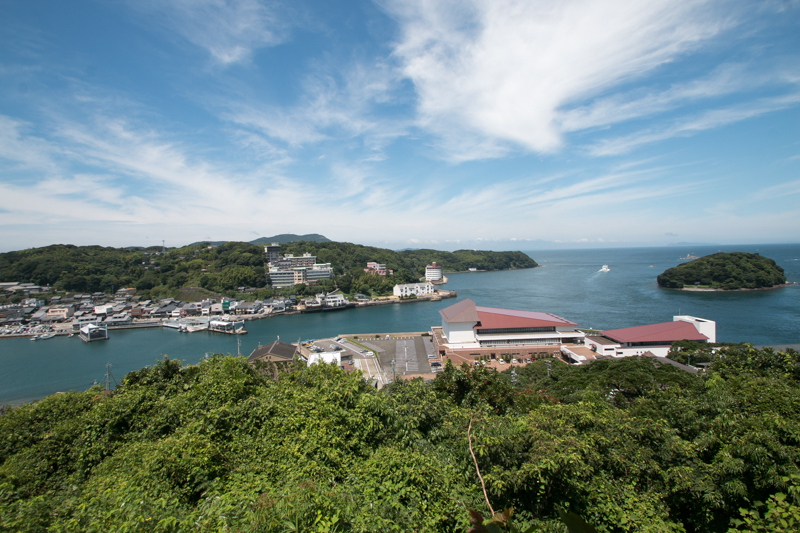 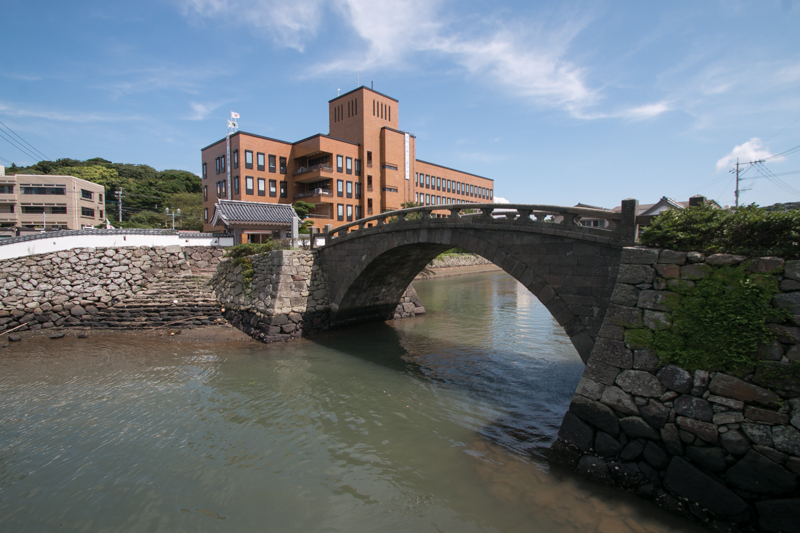 Because of its geographical condition and safe harbor being protected both side by land, Hirado port had been used as a communication place to the continent since ancient era. 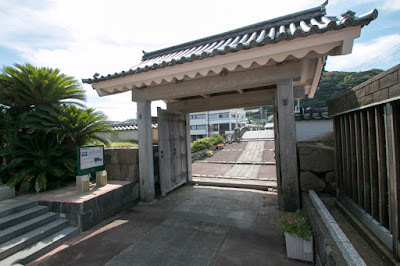 On the other hand, when Chinese Yuan dynasty and Korean Koryo kingdom invades Japan in 13th century, Hirado island was assaulted by them to use as a bridgehead. 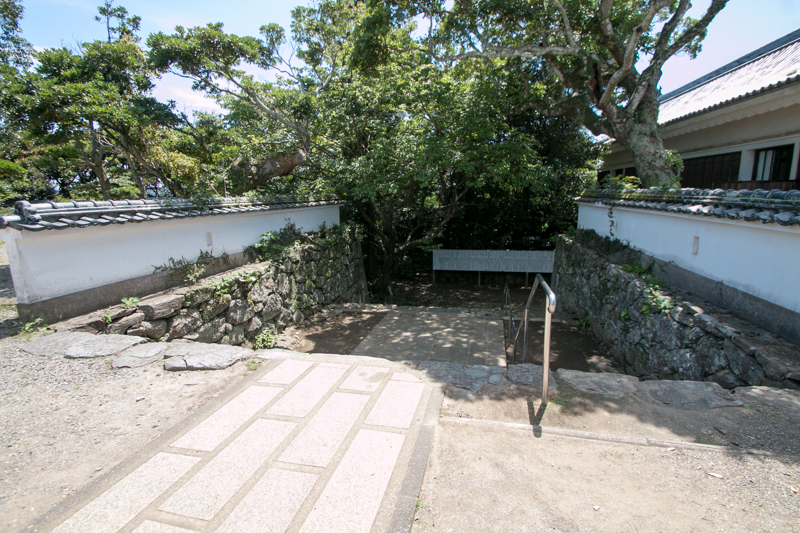 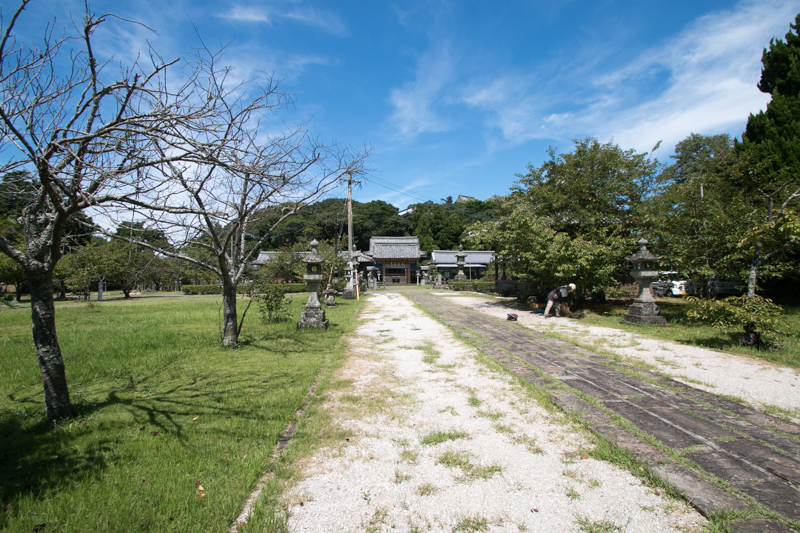 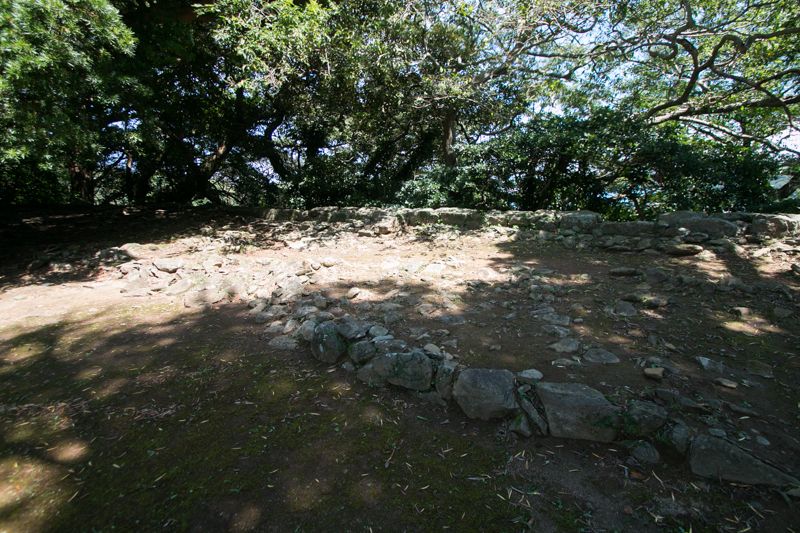 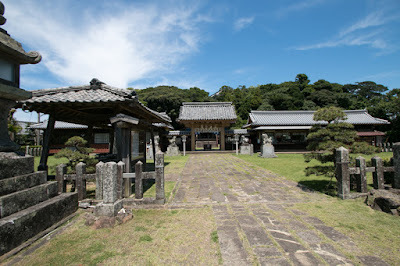 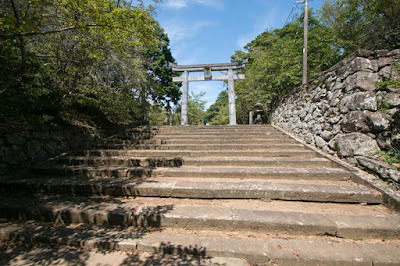 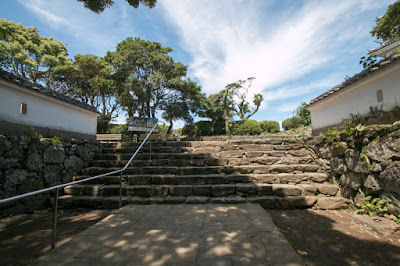 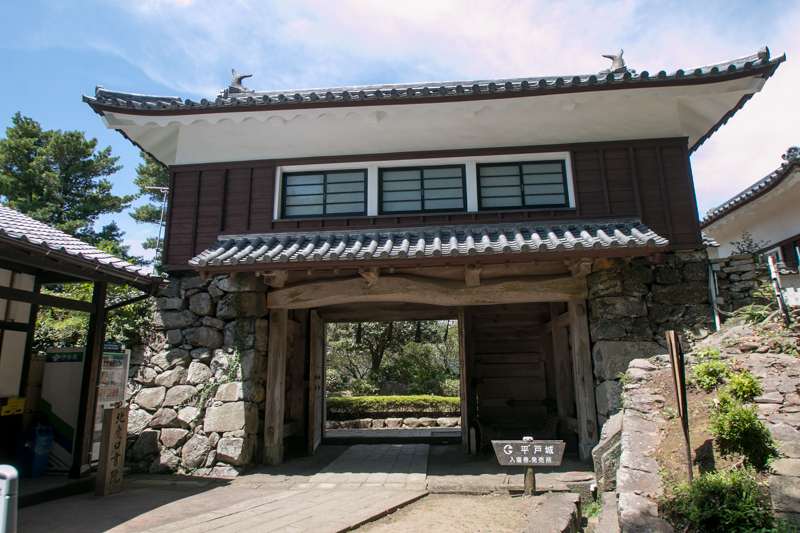 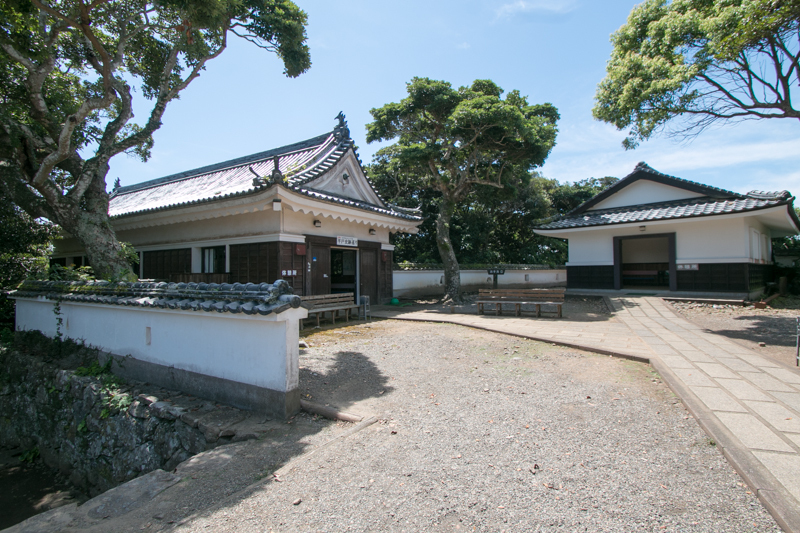 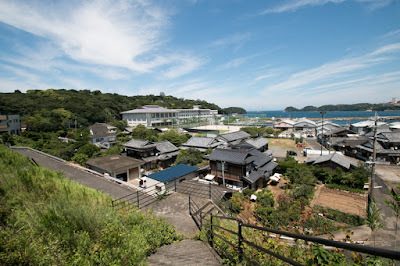 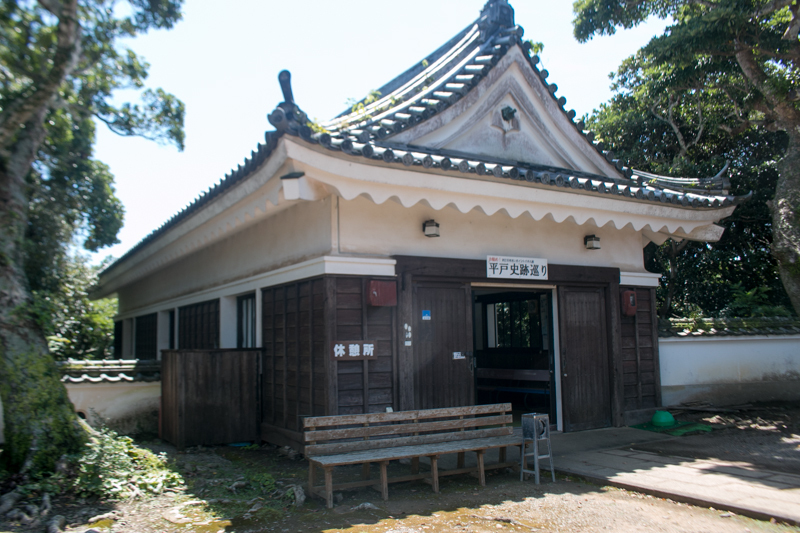 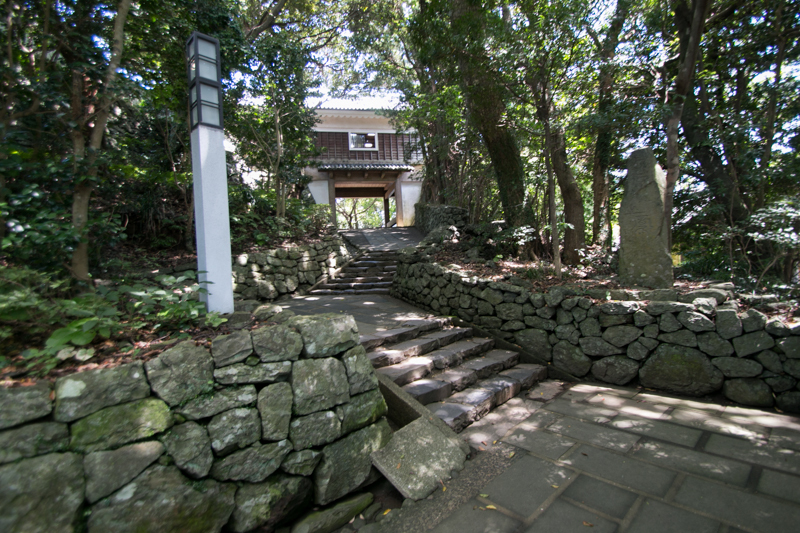 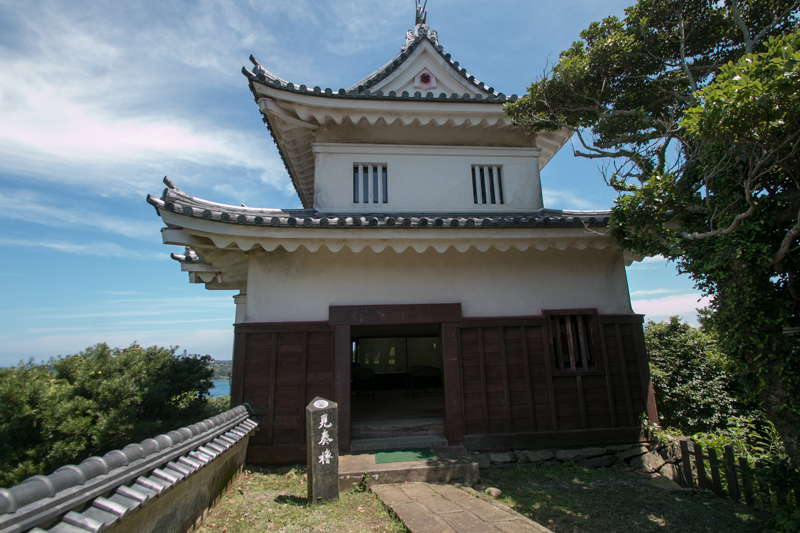 Since medieval era, Hirado island had been governed by Matsura clan. 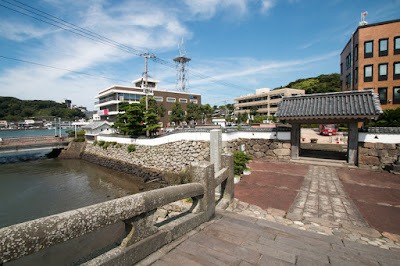 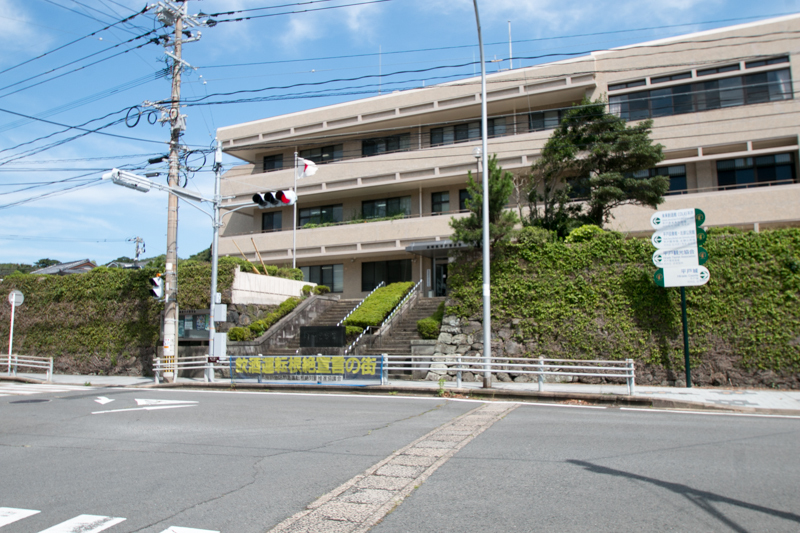 The precise origin of the clan is unknown but they came to north part of current Nagasaki and Saga prefecture in 11th century and grew as a sea clan of this area and was called as Matsura To (Matsura party). 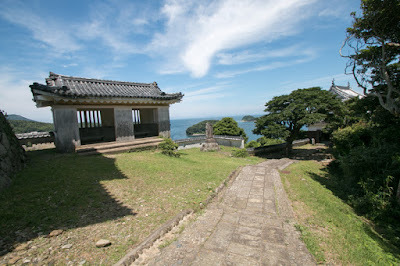 At the time of invasion of Yuan dynasty and Koryo empire they suffered severe damage but bravely fought, then they were nominated as local lords of this area. 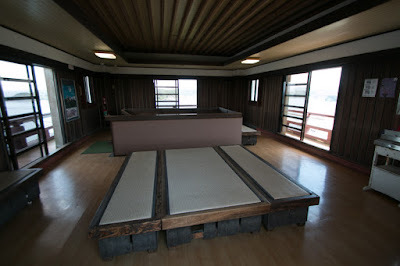 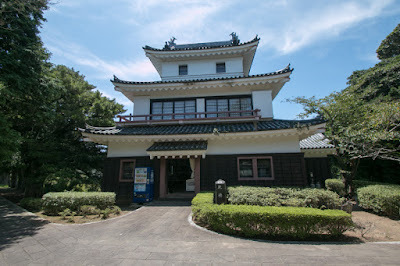 Matsura party was roughly divided into two part, and the one is Kami Matsura party held Higashi Matsuura peninsula in the north part of Saga prefecture, lead by Hata clan at Kishidake castle. 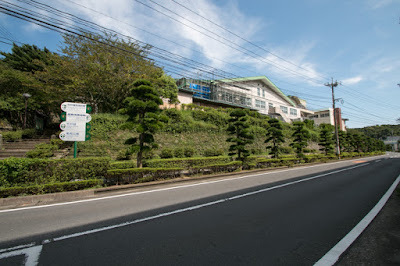 Another line is Shimo Matsura party spreads at Kita Matsuura peninsula in the north part of Nagasaki prefecture, lead by Hirado Matsura clan. Hirado Matsura clan was originally a branch family of Matsuura clan, but based on the wealth gained from Hirado port, they grew their power and became to lead Shimo Matsura party. In the former half of 16th century, Ouchi clan which was the governor of Suo province (Yamaguchi prefecture) and strongest warlord in Western Japan supported Hirado Matsura clan at the conflict with Shoni clan, another strong warlord which held current Fukuoka area. Hirado Matsura clan engaged in the trade with Chinese Ming dynasty under Ouchi clan, and after the fall of Ouchi clan Hirado Matsura clan traded by themselves. 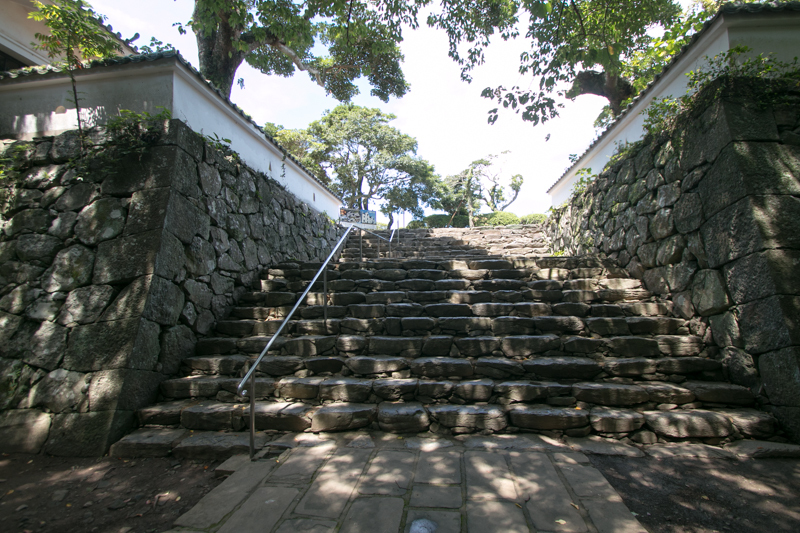 Furthermore, at that time, Portuguese Kingdom advanced into Eastern Asian region started active trade between their colony and China. It is said that Chinese pirate lived at Hirado city asked the arrival of Portuguese convoy to Hirado, and in1550 Portuguese fleet came to Hirado port. Hirado Matsura clan started to trade with Portuguese merchant. At that year Francisco de Xavier (1506-1552), a missionary who brought Christian to Japan for the first time in 1549, visited Hirado city. 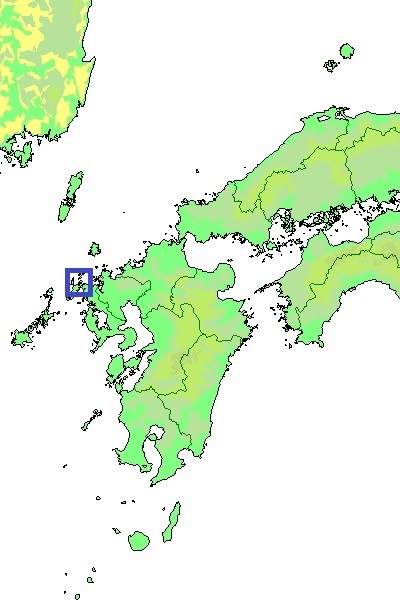 and gained the believer in Hirado city. 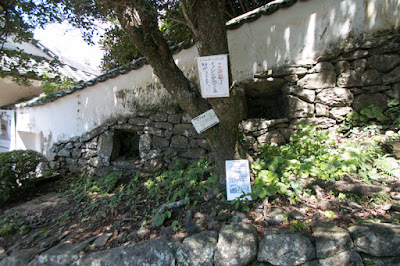 But spread of Catholic evoked conflict with Japanese traditional religion, and in 1561 a conflict between Portuguese and Japanese merchants occurred in Hirado city. Portuguese merchants moved to Nagasaki area and trade with Western merchants in Hirado port once declined. In the middle of 16th century, Otomo clan which was the governor of Bungo province (Oita prefecture) once became the ruler of north half of Kyushu island, but since the defeat at the battle of Mimikawa they lost their power, and Ryuzoji clan which was the lord of Saga castle (Saga prefecture) rose to the regional ruler. 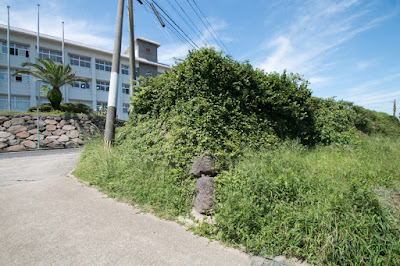 But Ryuzoji clan also lost their leader at the battle of Okitanawate in 1584, and Shimazu clan which was the governor of Satsuma province (Kagoshima prefecture) mostly united Kyushu island. However, at the same time, Hideyoshi Toyotomi (1537-1598) who ruled central area of Japan seek unification of Japan. 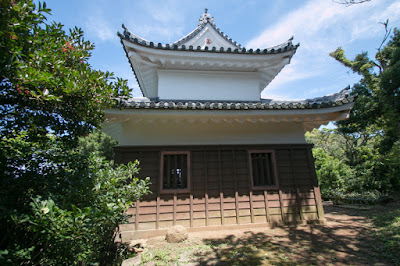 Hideyoshi attacked Shimazu clan in 1587, and Takanobu Matsura (1529-1599) who was the leader of Hirado Matsura clan had communication with Hideyoshi in advance. 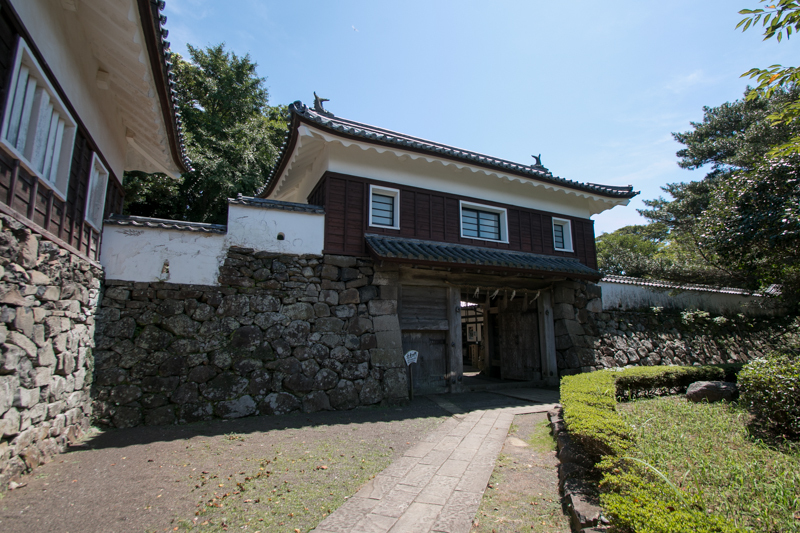 In 1588 Hideyoshi defeated Shimazu clan, and Takanobu was approved as a feudal lord under Toyotomi government. Hirado Matsura clan activated at many battles under Hideyoshi with its navy. After the death of Hideyoshi, Hirado Matsura clan supported next ruler Ieyasu Tokugawa (1543-1616) and survived as a lord of Hirado domain under Edo Shogunate. 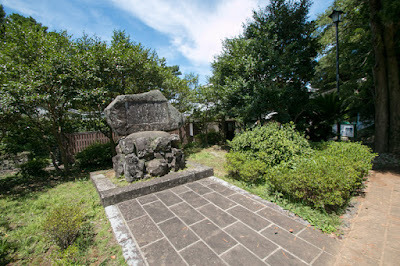 Shigenobu Matsura (1549-1614), son of Takanobu, hoped to the restart of foreign trade and supported crew of Dutch fleet to return to their nation. 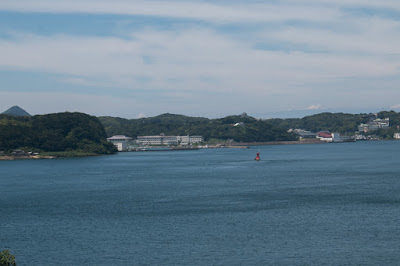 Finally in 1609, Dutch fleet came to Hirado port and Hirado Matsura clan participated in foreign trade again. 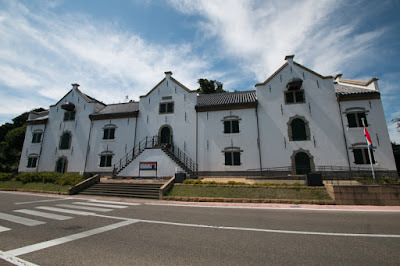 Dutch East India company built their office at the edge of the port. 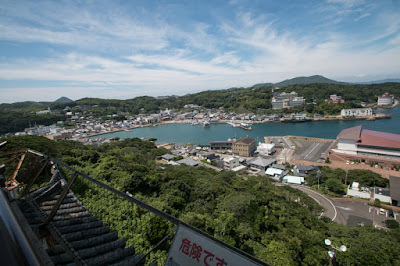 Furthermore, in 1613, Britain fleet also came to Hirado port and started trade. 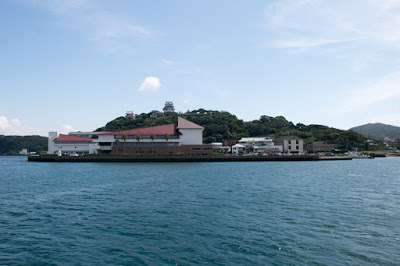 At that time Nagasaki port was a main port to trade with foreign countries, but Nagasaki area was strongly influenced by Catholic nations then Protestant nations chose Hirado port. Protestant nation gave priority a trade to missionary, thus they were not involved in Christian banning and continued trade at Hirado port. 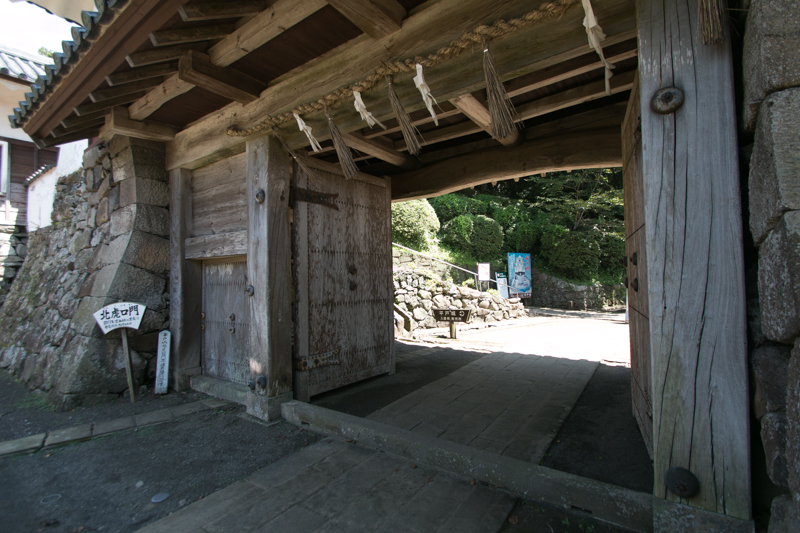 But on and after 1630's, Edo Shogunate changed their policy to close the nation. 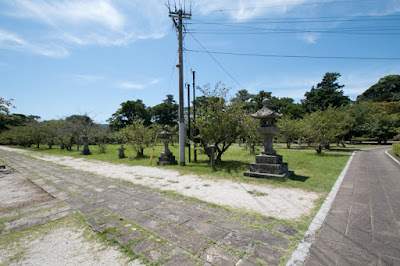 In 1637, large rebellion of local pheasants connected by Catholic occurred at Shimabara peninsula, and Shogunate strictly banned Christianity in Japan. Also, Shogunate did not allow local lords to trade with foreign countries and gain profit, and tried to control all foreign trade with themselves. 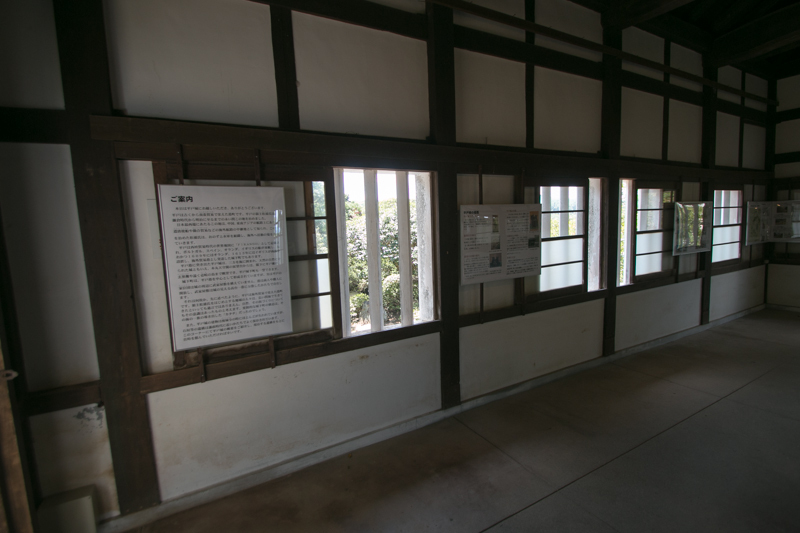 Furthermore, Edo Shogunate did not hope to be involved in foreign conflicts, such as Chinese Ming dynasty VS Qin dynasty or Asian Dutch colony vs. Britain or Portuguese. 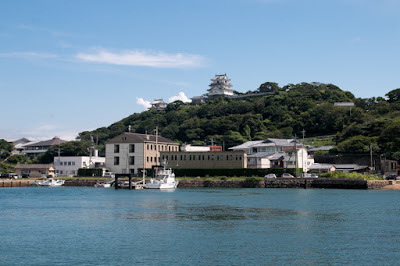 Finally in 1630's, Edo Shogunate decided to close the nation and limited foreign trade only at Nagasaki port under the control of Shogunate. 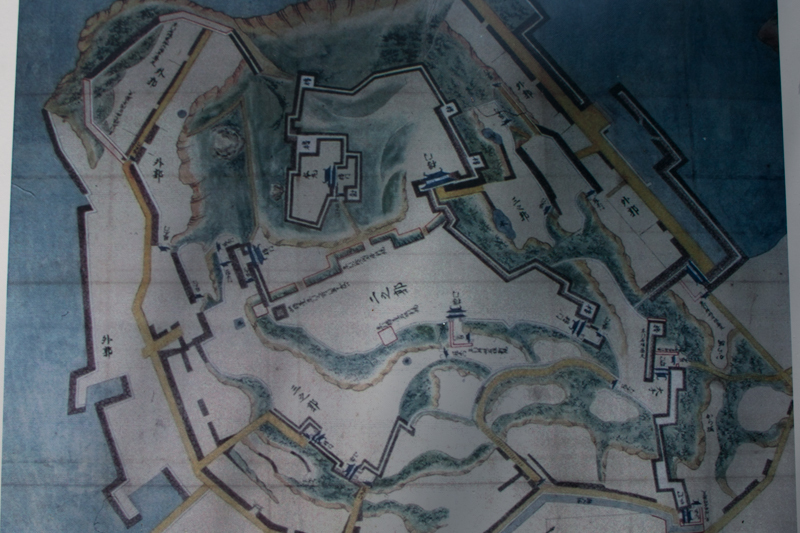 Britain already retreated from Japan in 1623, and in 1641 Dutch office left Hirado port and moved to Nagasaki city. 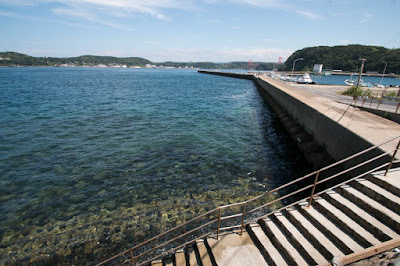 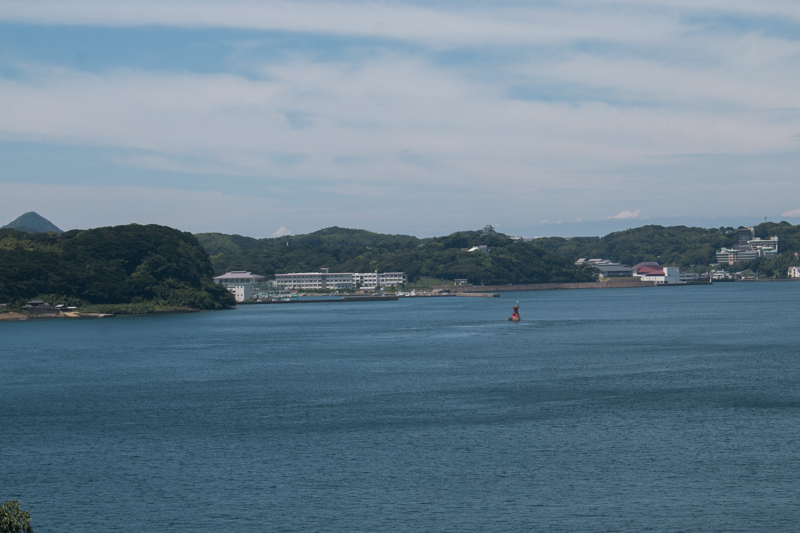 Now the history of Hirado port as a foreign commercial port had ended. 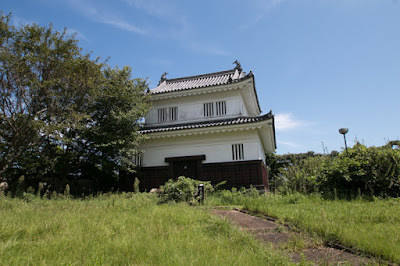 In 1599, Shigenobu Matsura built Hinotake castle at the place of current Hirado castle as his residence, but this Hinotake castle was lost by fire in 1613. 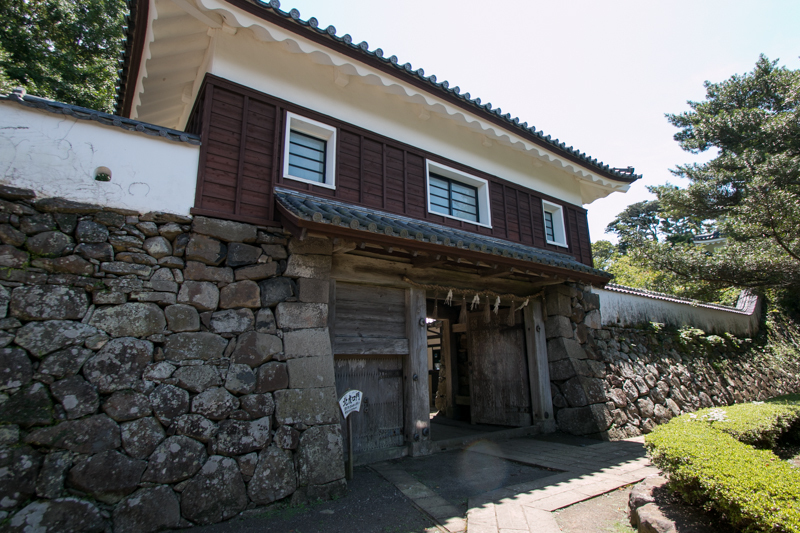 It is said that Hirado Matsura clan voluntary fired Hinotake castle, as they were close to Toyotomi government and had to show the loyalty to Edo Shogunate. 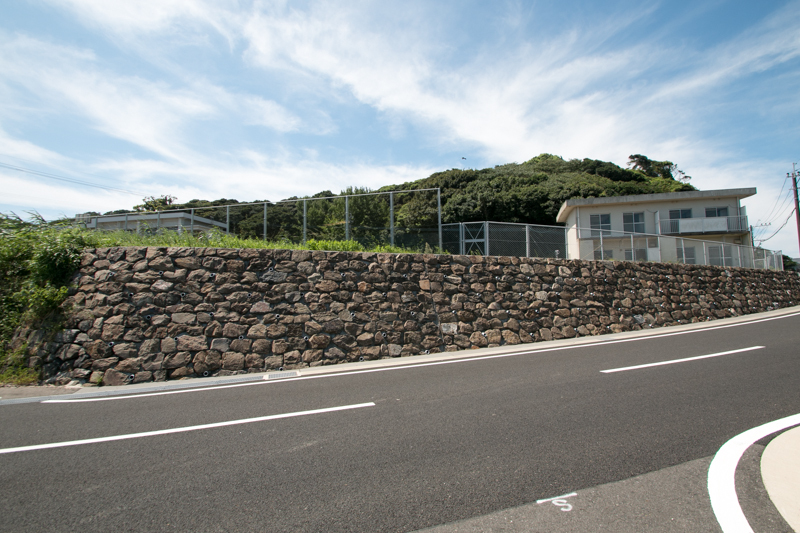 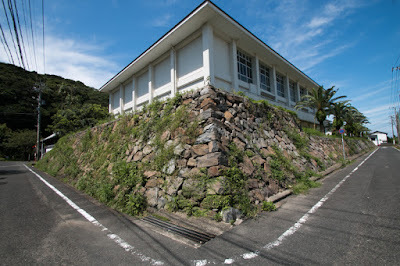 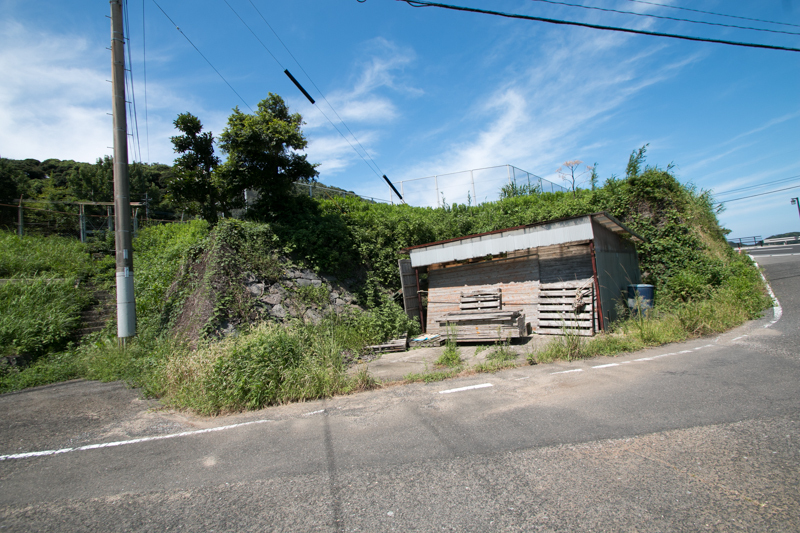 They built a residence at the opposite of Hirado port and lived there. But in 1704, Hirado Matsura clan got approval to build a castle from Edo Shogunate and built Hirado castle using ruin of former Hinotake castle. 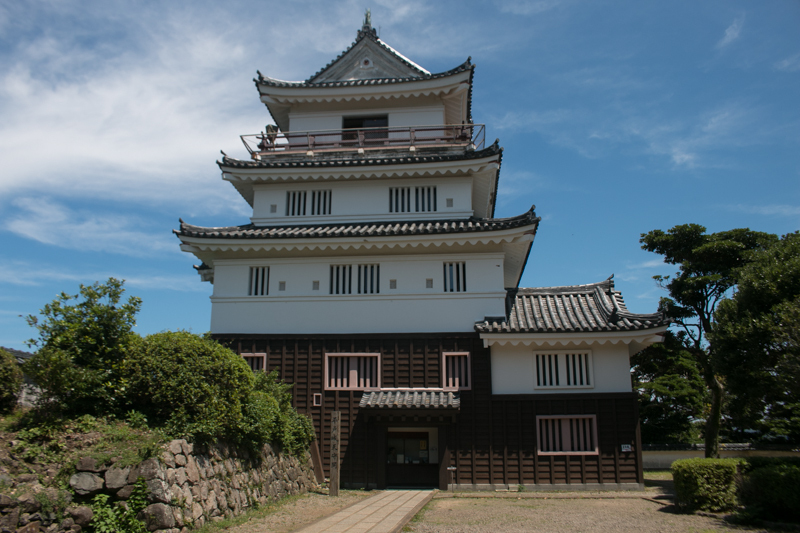 At that time Chinese Qin dynasty aggressively attacked surrounding nations, and Edo Shogunate might think a necessity of building castle at the border. 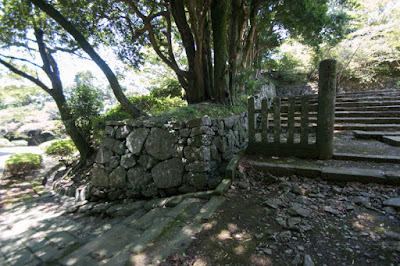 Furthermore, fall of Portuguese and rise of Britain might affect Japan, in spite of its closing policy. 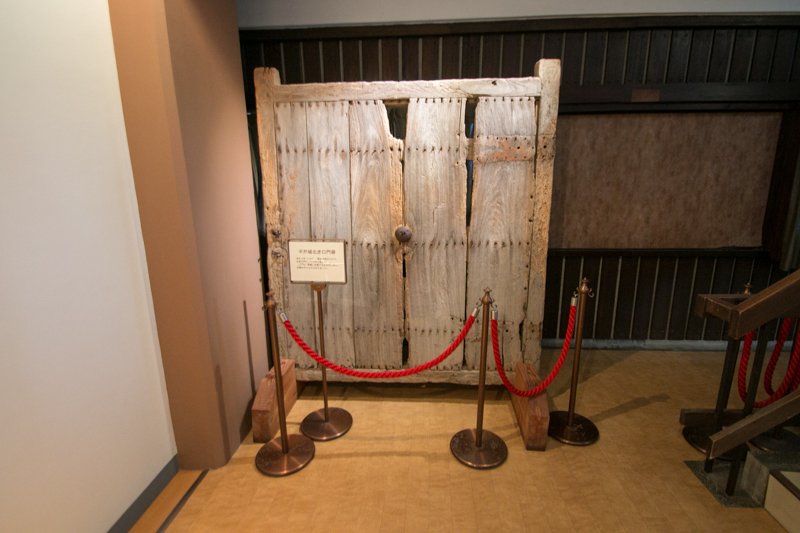 To show the closing policy of Edo Shogunate to foreign counties in turbulent situation, it was necessary to build a secure castle at border area. 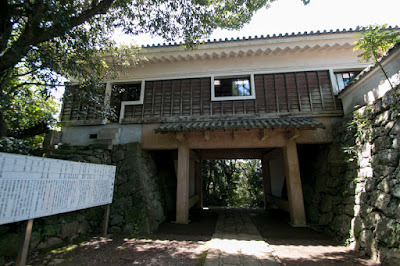 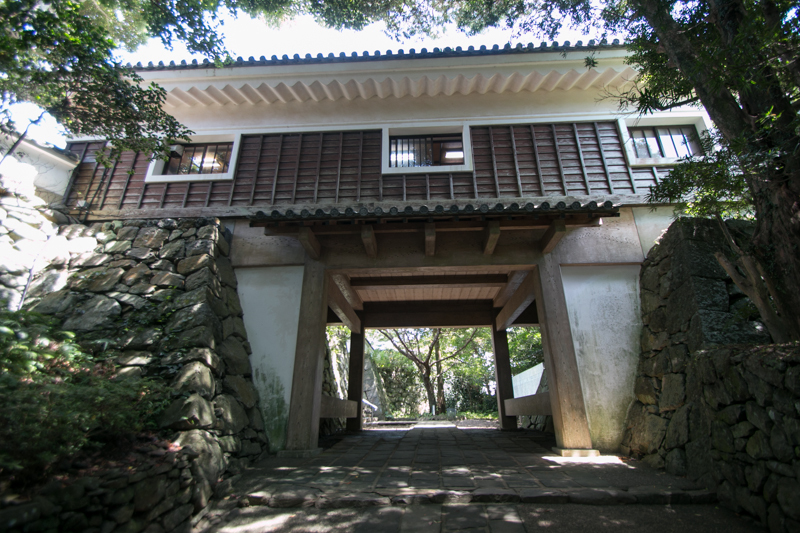 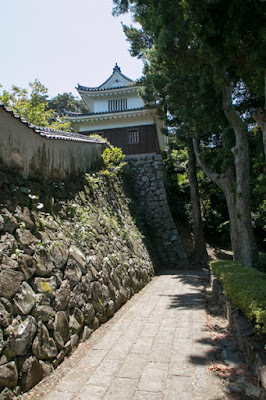 At the time of planning, Hirado Matsura clan asked advice to a pupil of military scholar Soko Yamaga (1622-1685), who planned Ako castle (Hyogo prefecture) using element of Western fortress. 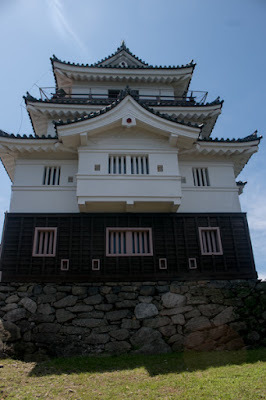 After 14 years construction, new Hirado castle completed in 1718. 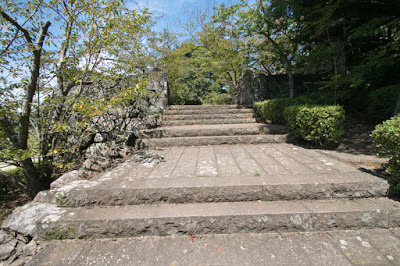 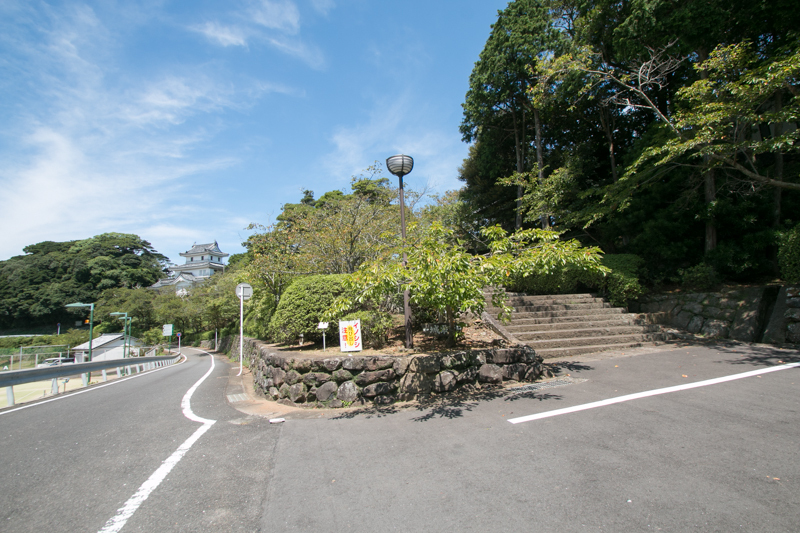 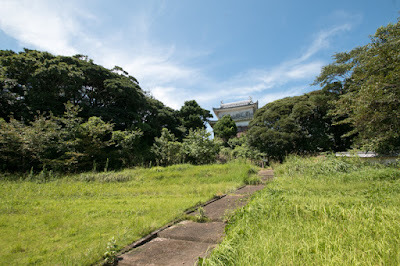 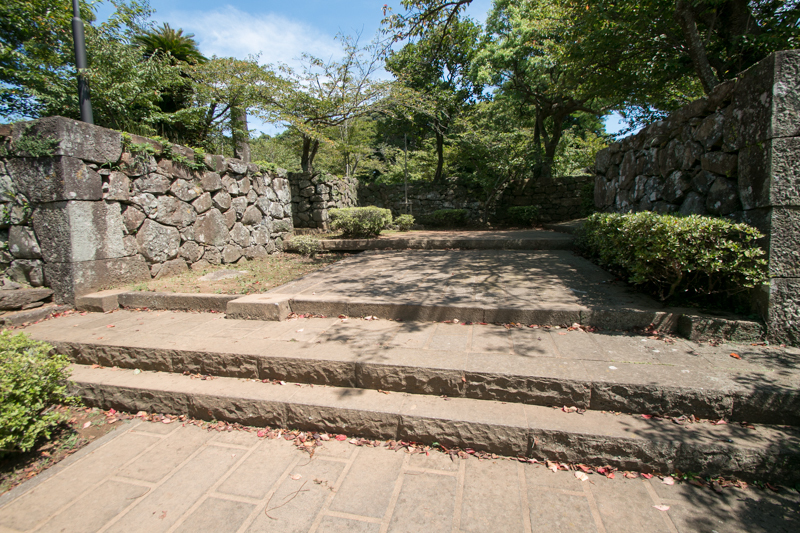 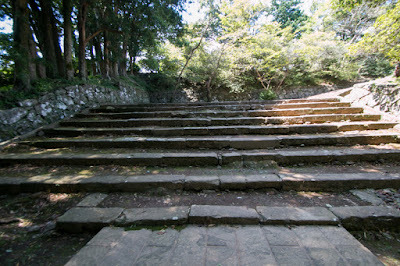 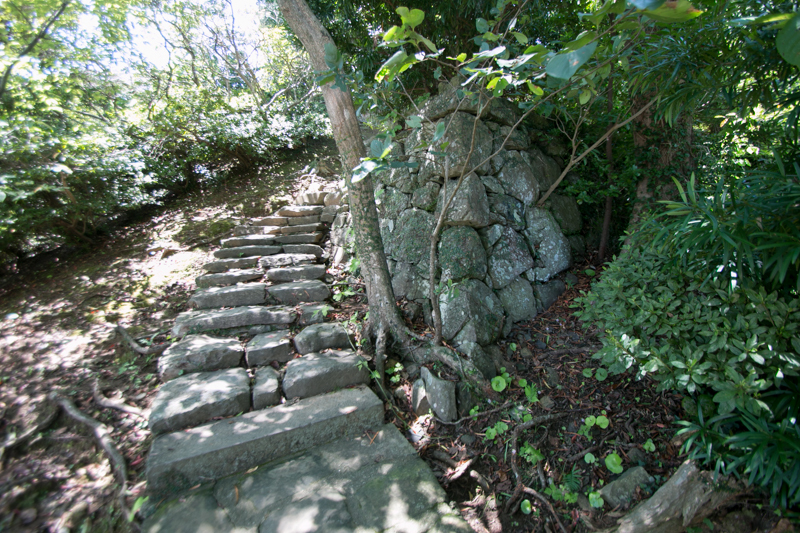 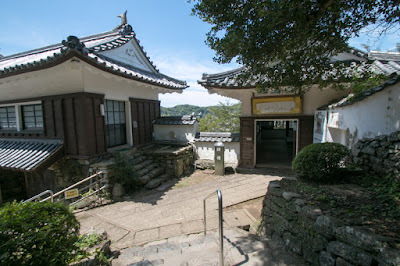 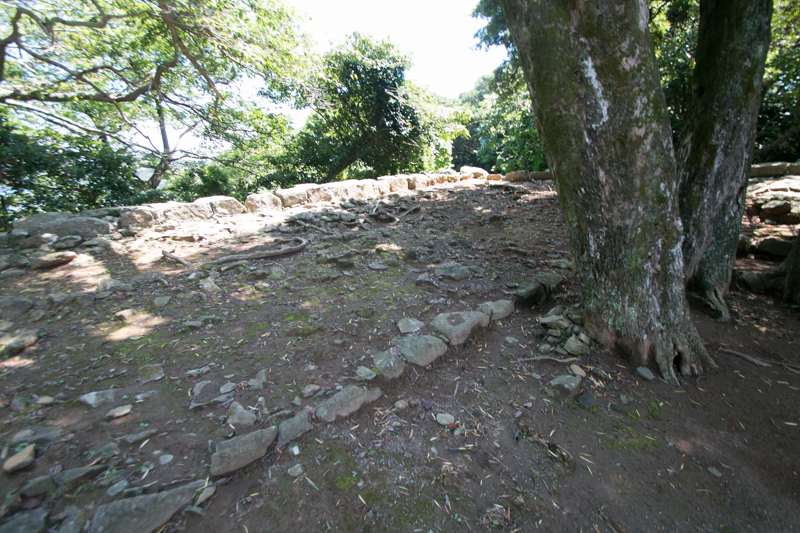 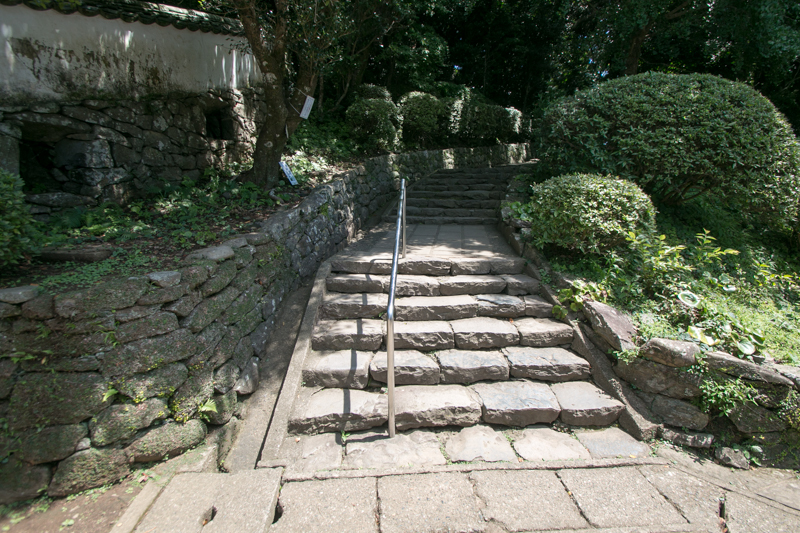 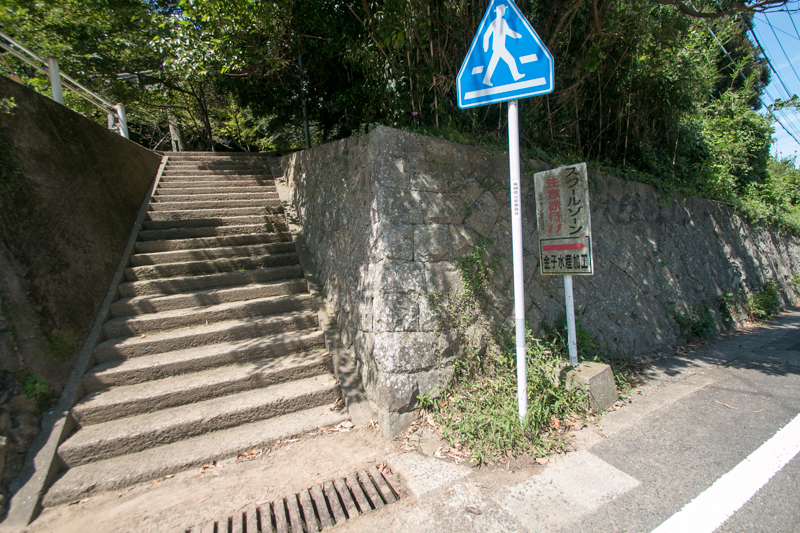 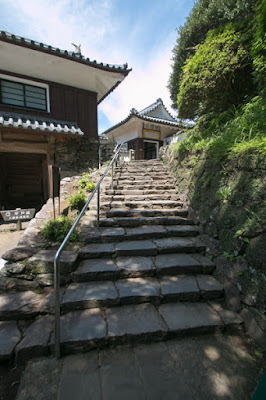 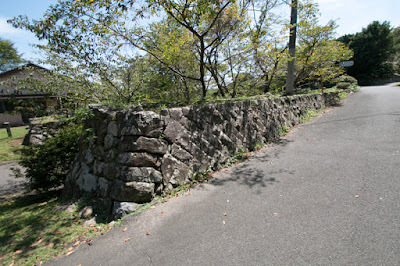 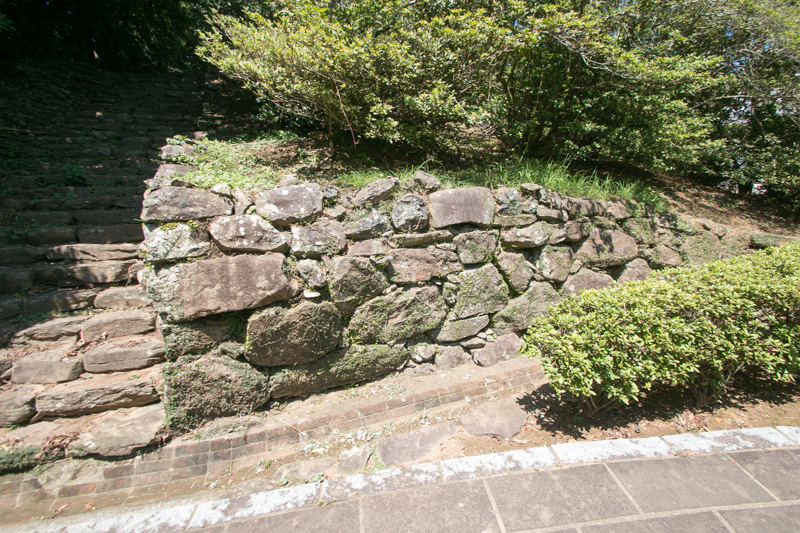 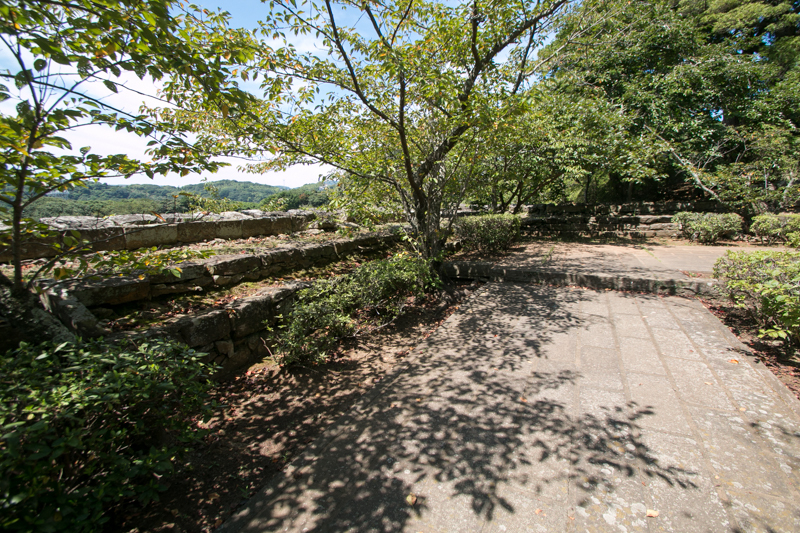 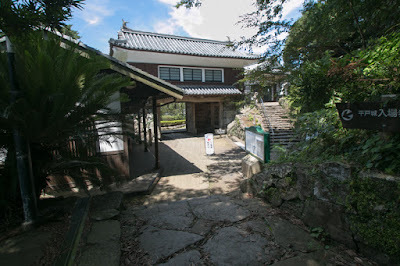 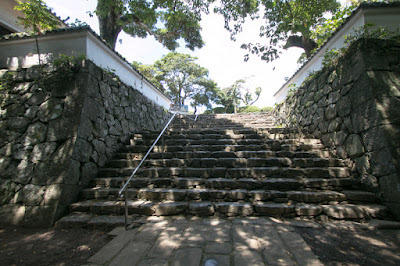 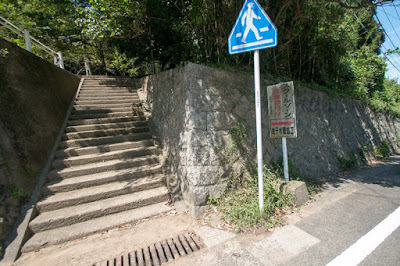 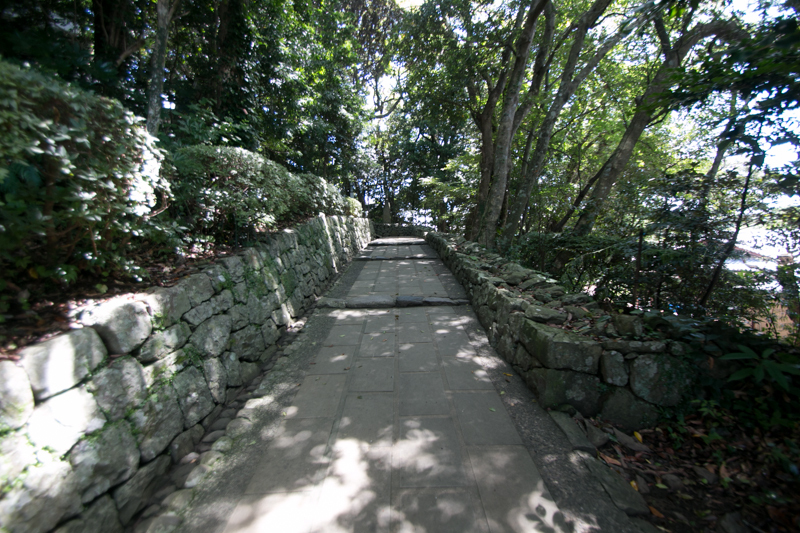 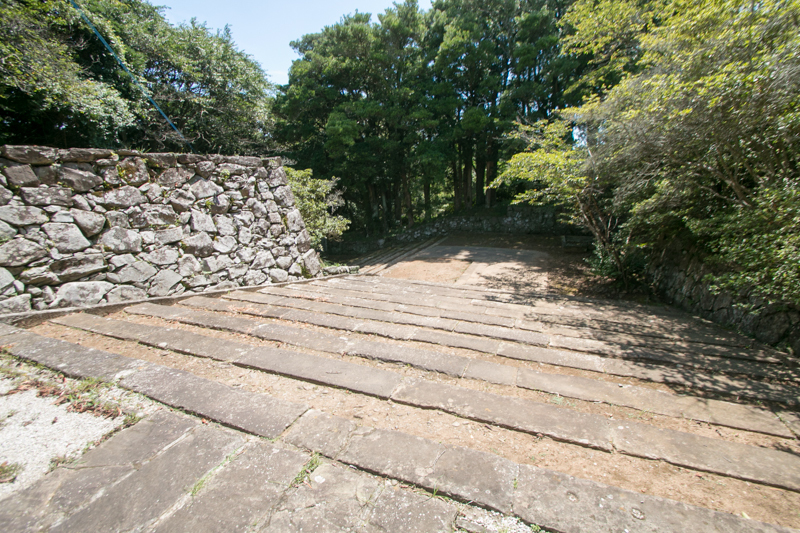 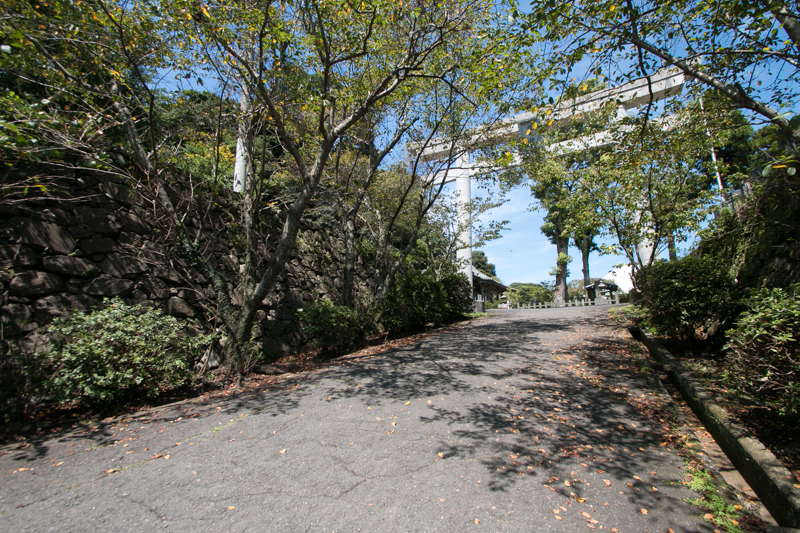 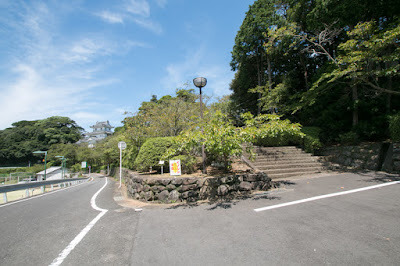 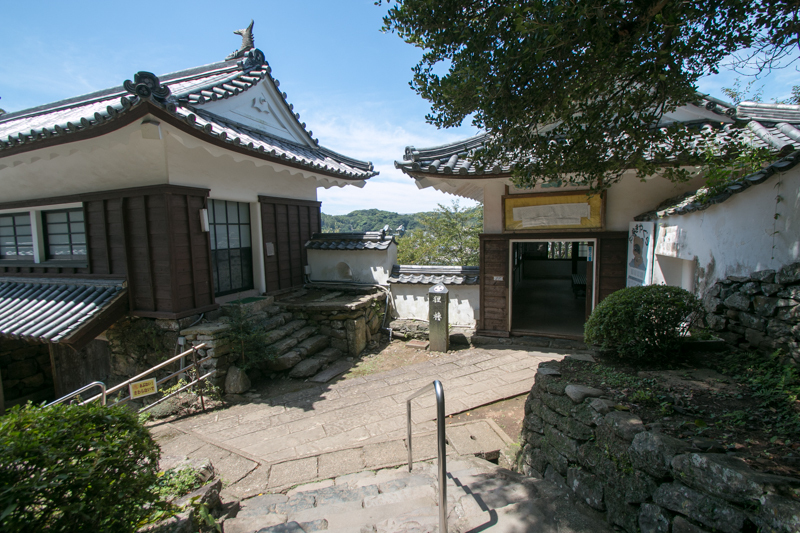 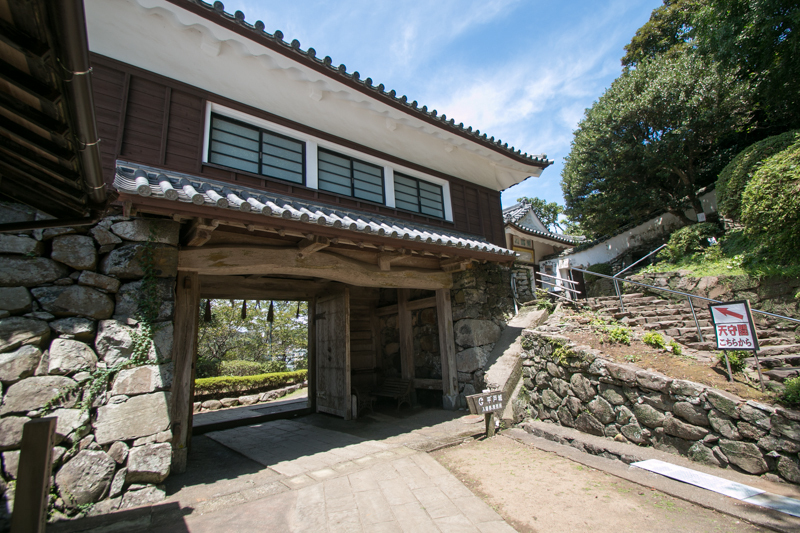 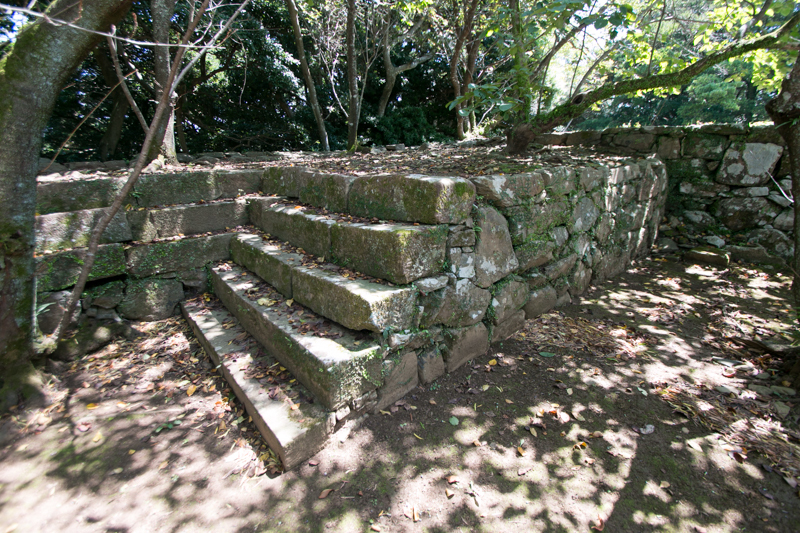 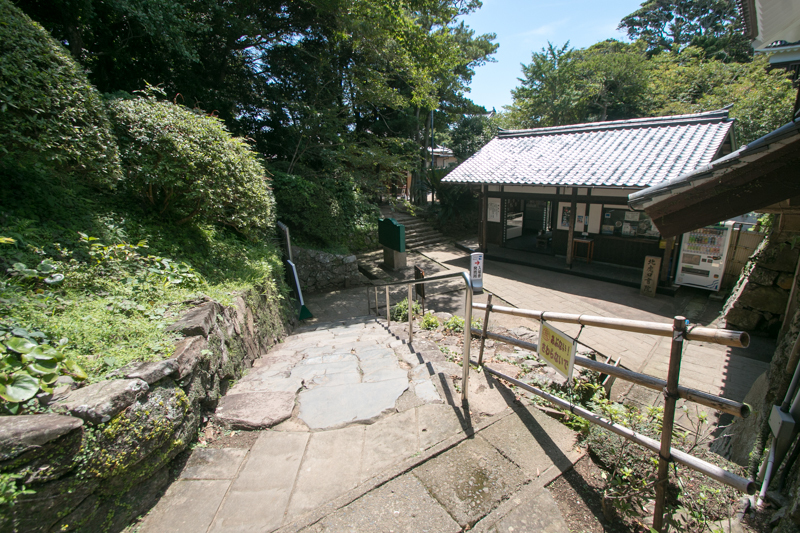 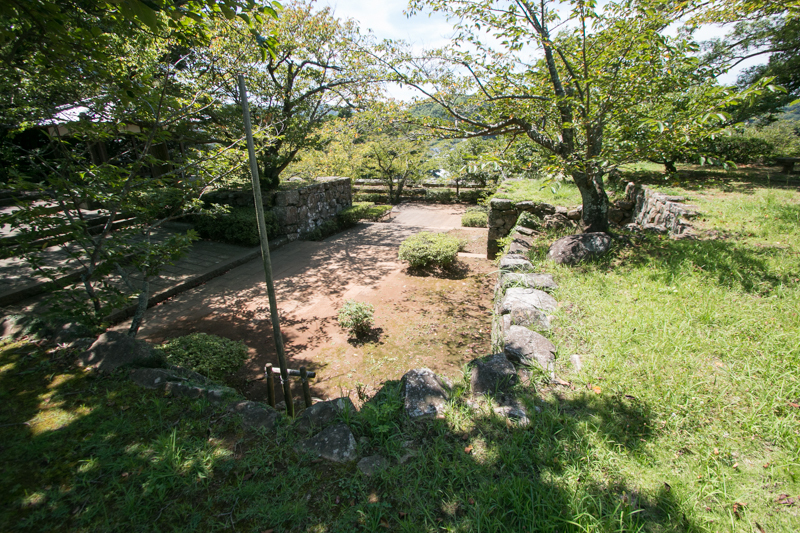 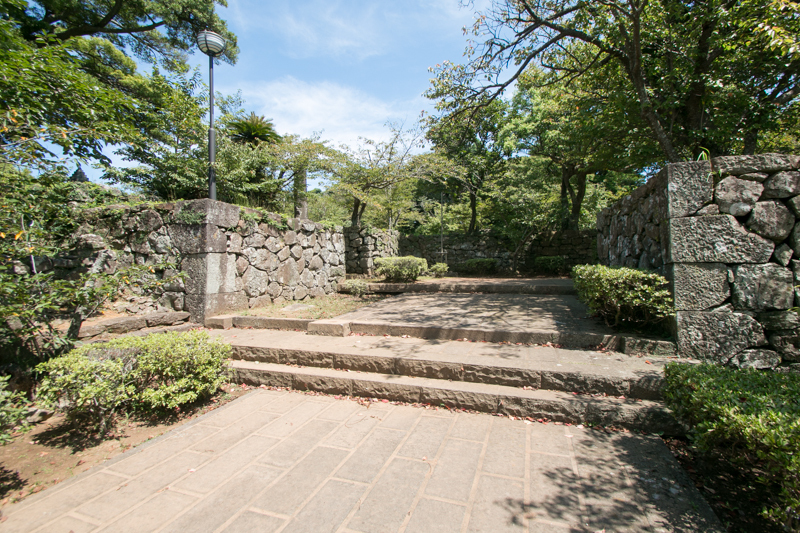 Hirado castle consists of several terraces spreads from hilltop to hillside. 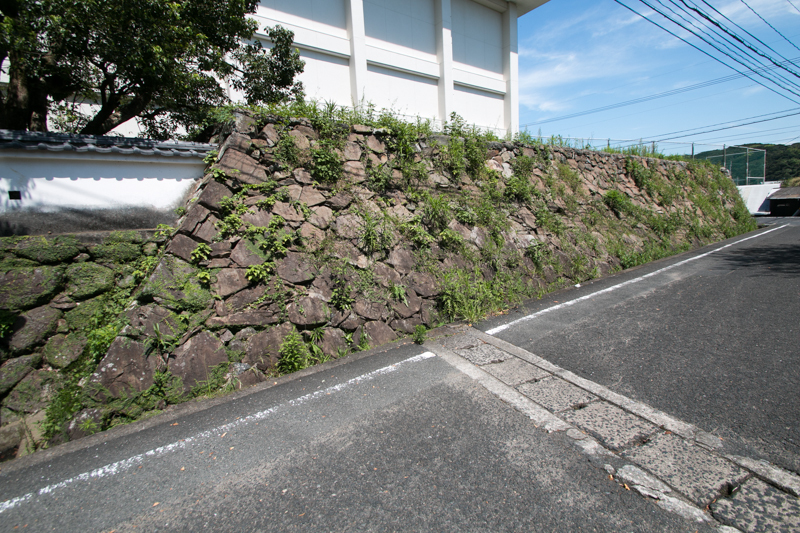 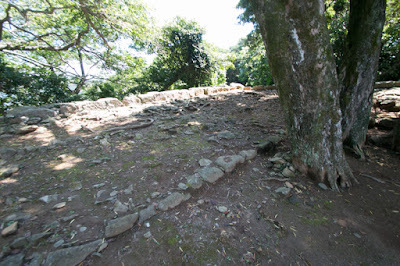 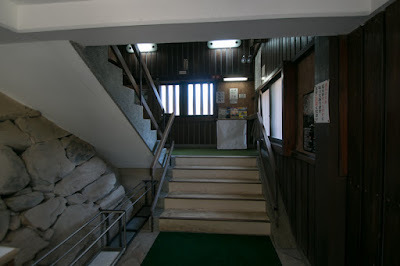 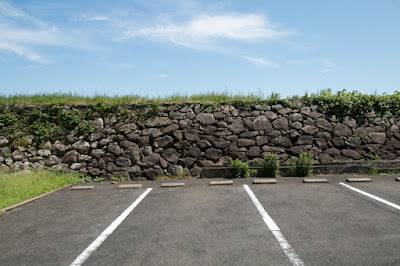 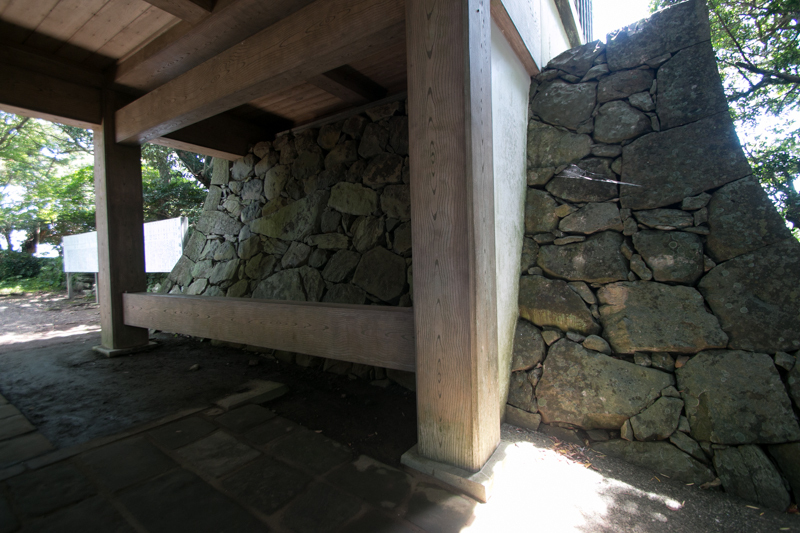 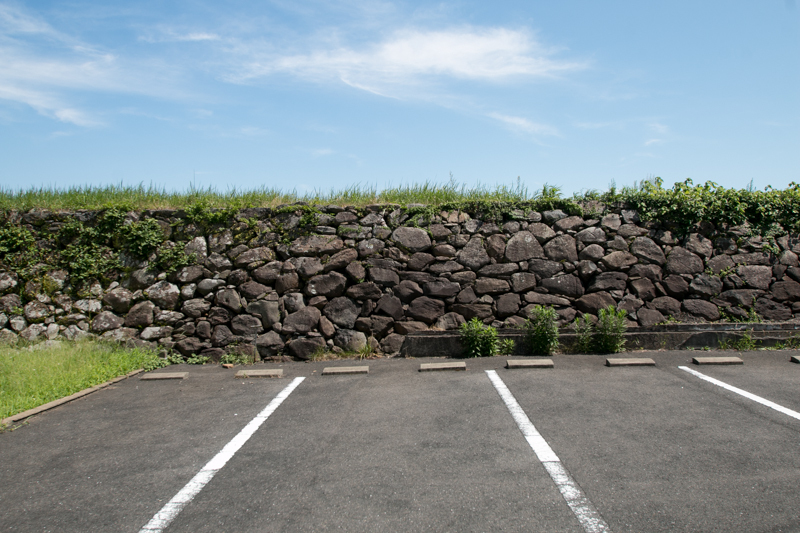 Inner area such as central area or secondary area takes over the shape of former Hinotake castle, and consist of narrow area with complexly folded stone walls. Main tower was not built and a three story floor named Inui turret was built as a substitution. 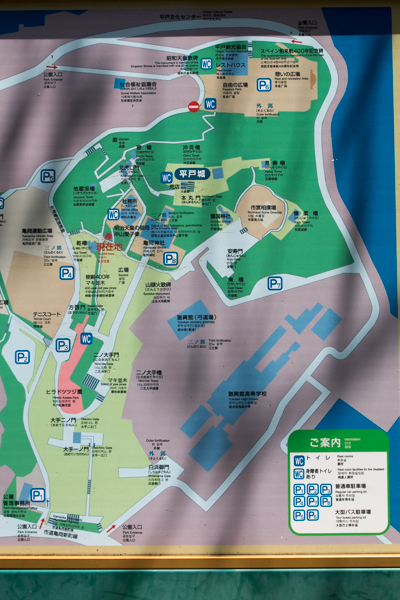 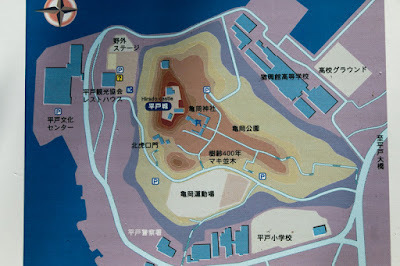 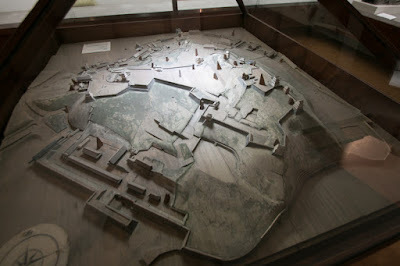 On the other hand, outer area was built based on the knowledge of Western fortress. To cope with the attack of the cannon, outer area surrounded whole direction of the castle to keep depth from outside. Most part of the castle was protected by sea and water moat, and south east edge where connects to next hill was protected by deep dry moat and two layer gates. 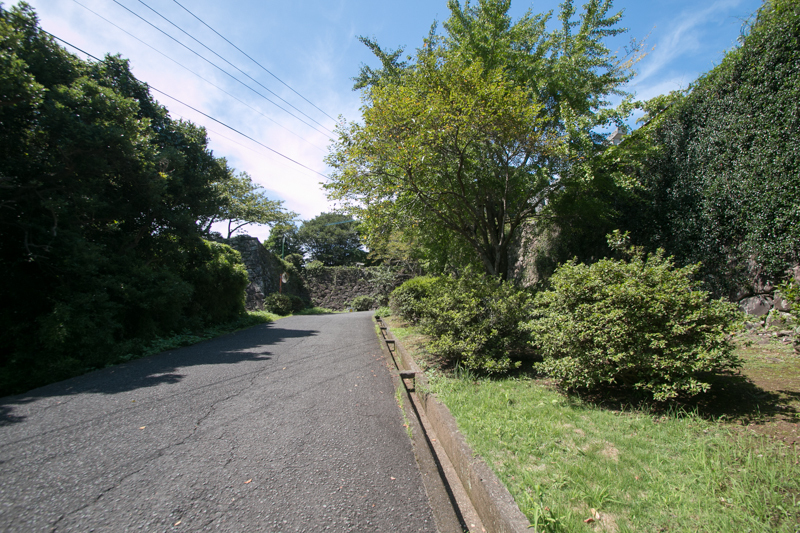 Preparing for the attack of cannons, outer area is mainly guarded by stone walls and moats, not by turrets. 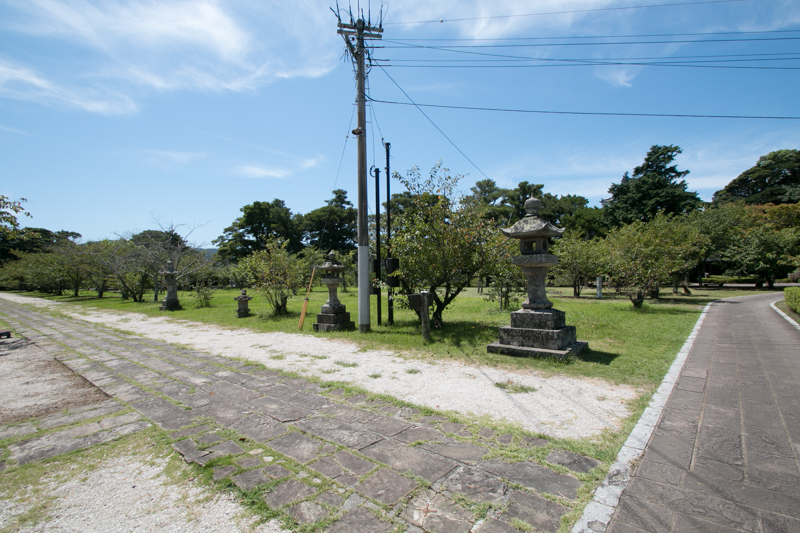 Even though losing the profits from foreign trade, Hirado domain developed new rice fields and industries then restored their situation. They also thought important of education, and encouraged leanings in domain. Hirado Matsura domain survived as a lord of Hirado area over 800 years, and finally person of Matsura clan became the grandmother of Emperor Meiji. 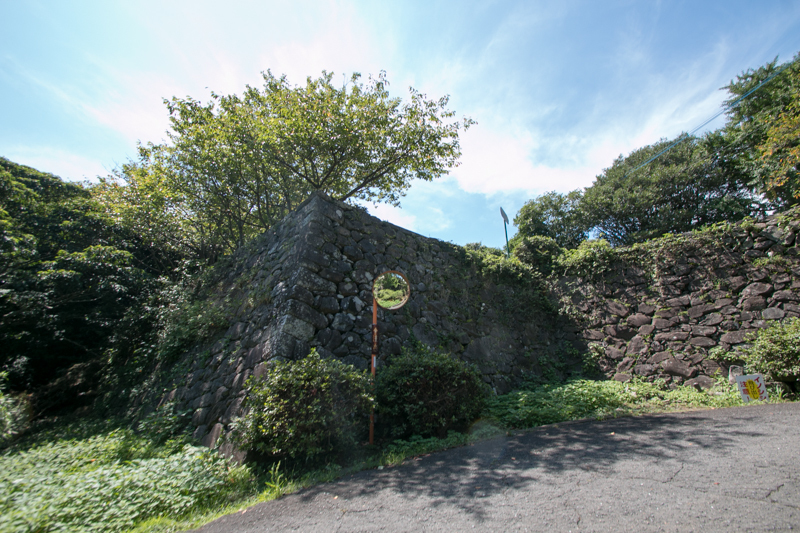 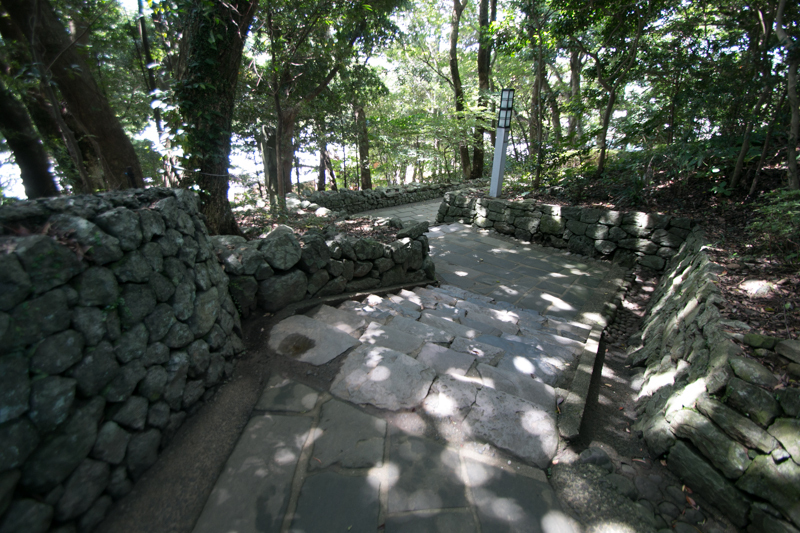 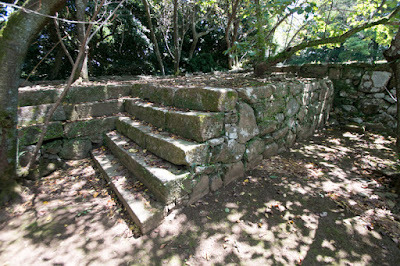 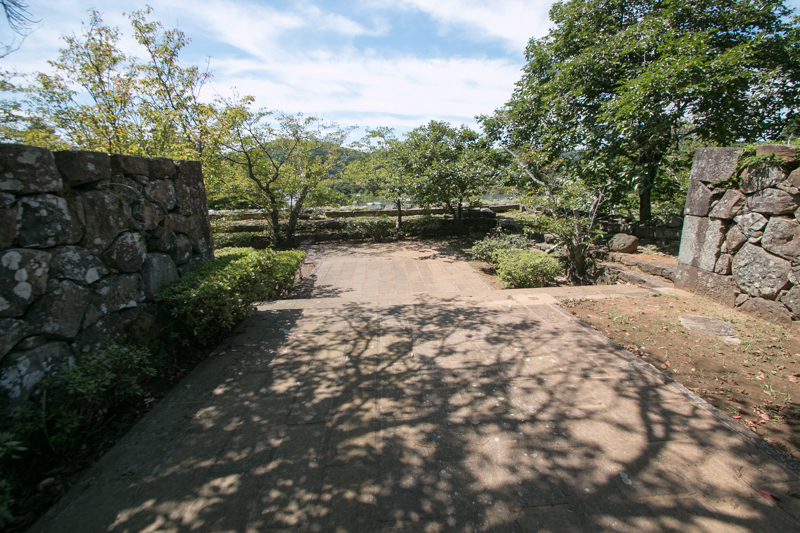 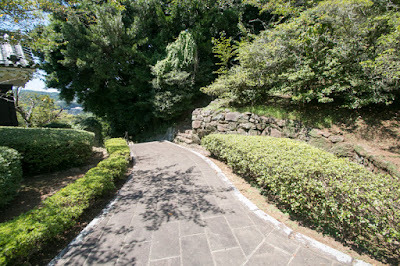 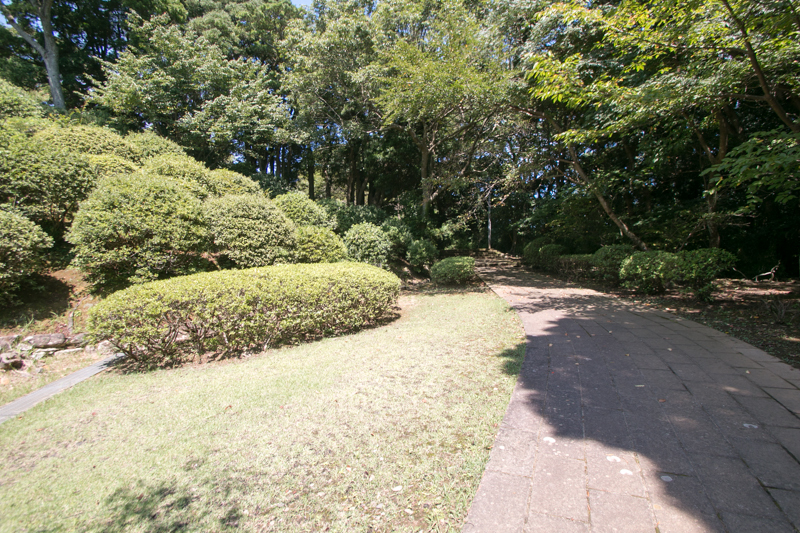 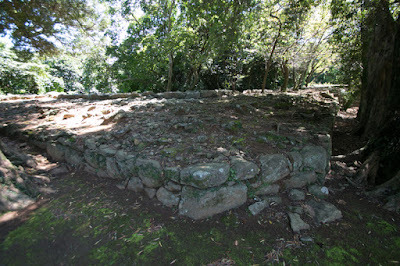 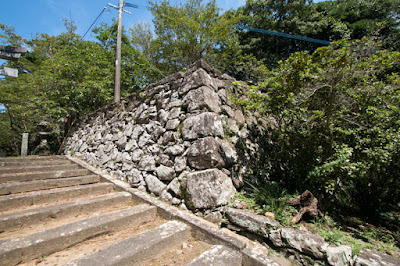 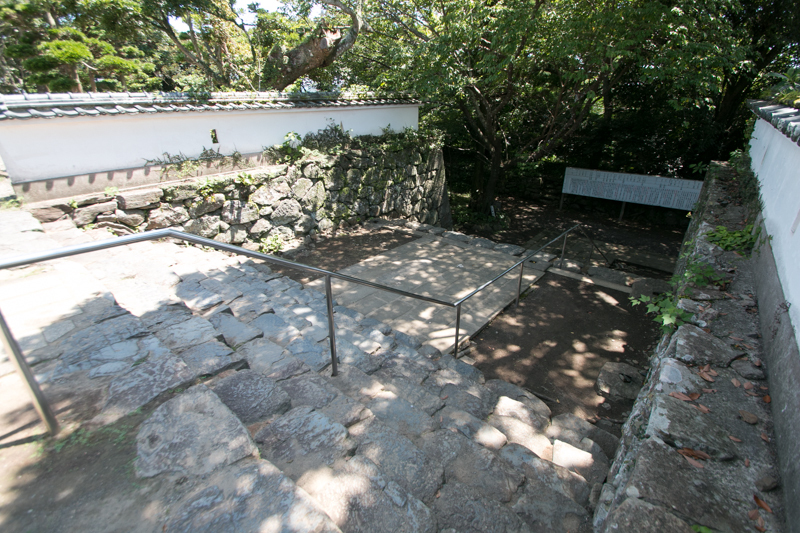 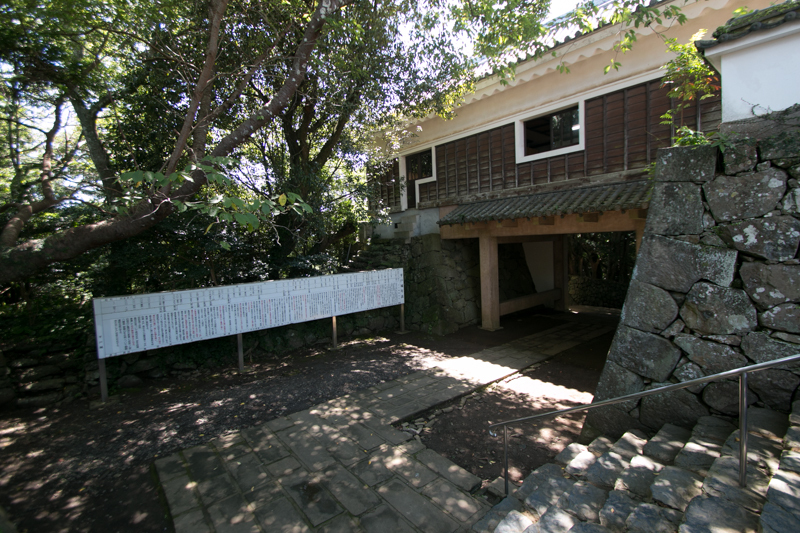 Subsequent to Meiji revolution, all buildings except for Kita Koguchi gate and Tanuki turret were lost but shape of the castle well remains until now. 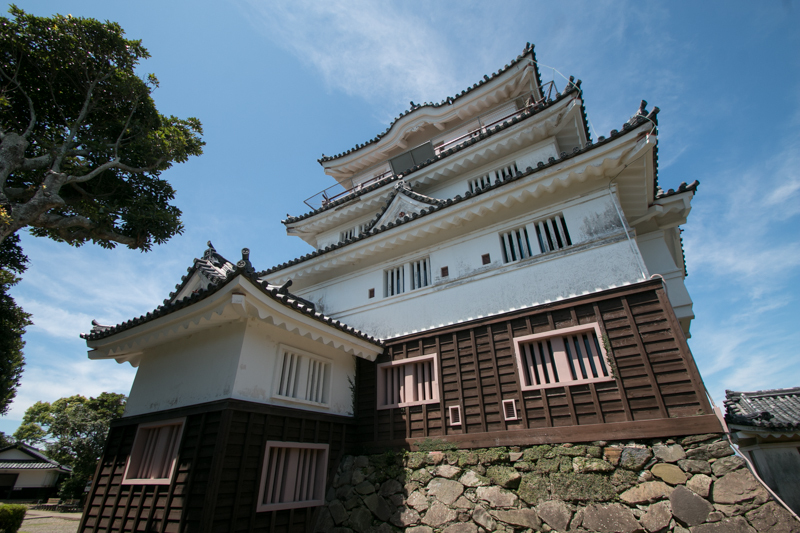 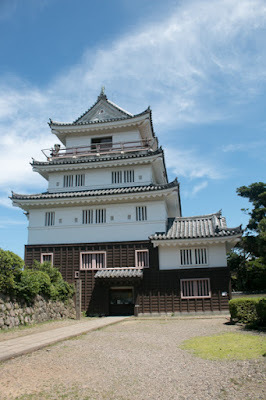 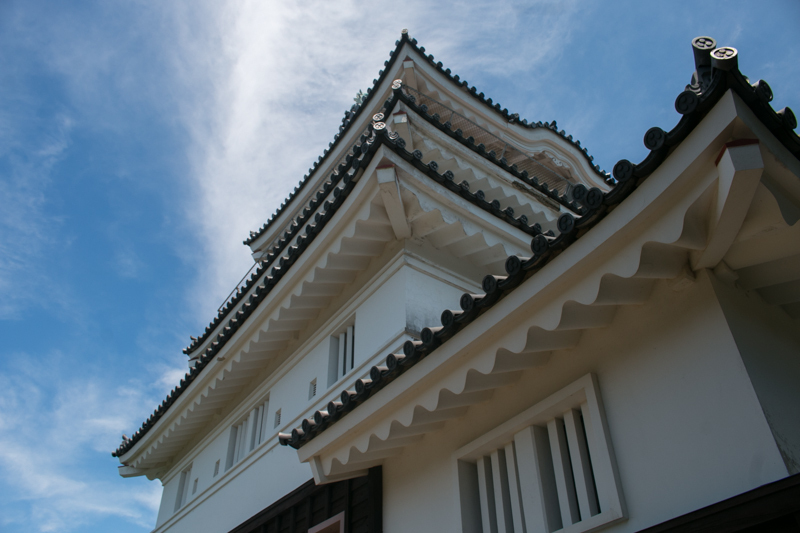 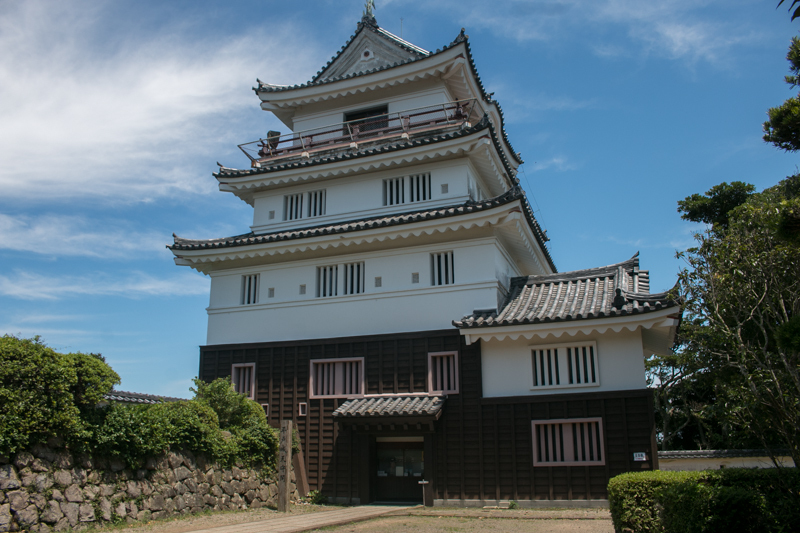 In 1962, a main tower like building and four other turrets were built, and Hirado castle partially recovered atmosphere of old age. 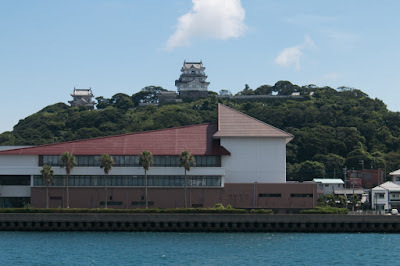 Turrets stand in a row on the hill seen from Hirado port shows solid intention of Edo Shogunate to close the nation toward foreign counties. 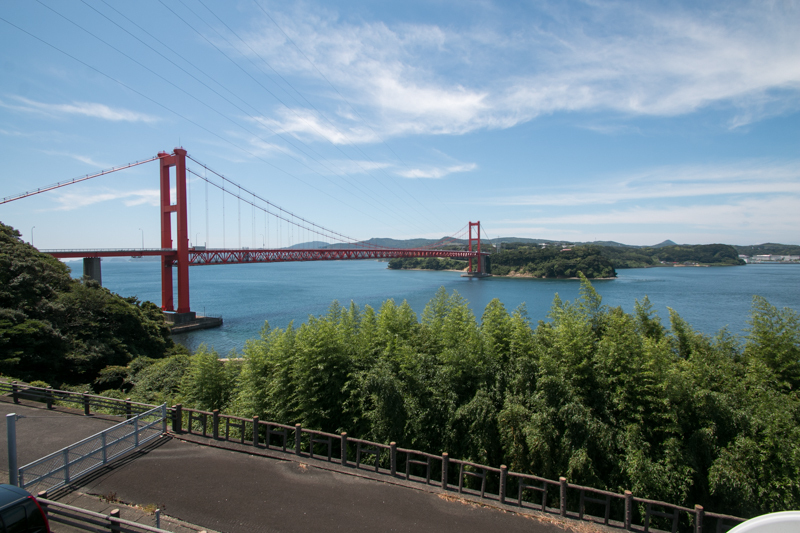 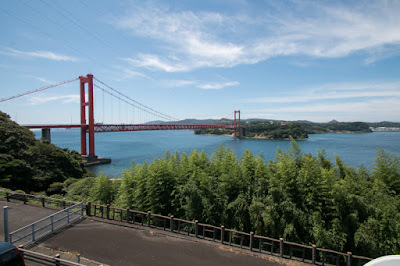 120 minutes drive from Fukuoka city via Nagasaki Jidoshado Expressway and Nishi-Kyushu Jidoshado Expressway. 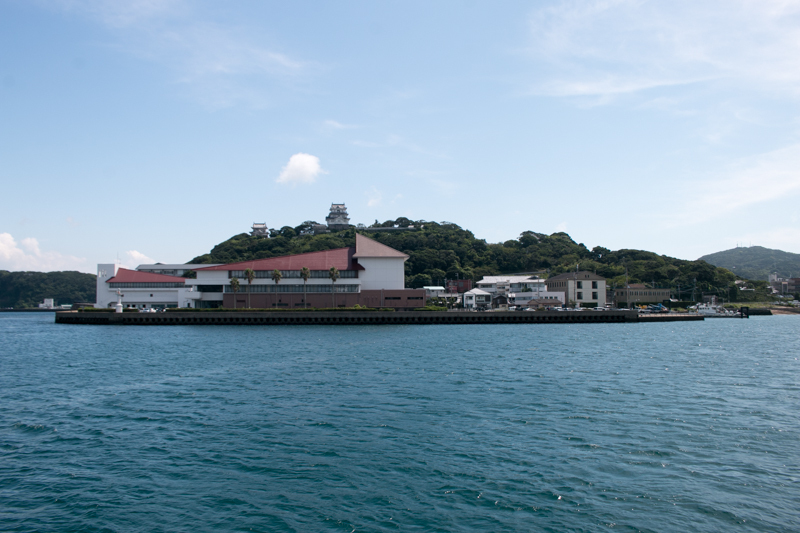 Bus or Matsura Tetsudo railway from Sasebo city.